Every week, the Bureau of Development Services publishes lists of Early Assistance applications, Land Use Reviews and Building Permits processed in the previous week. We publish the highlights. This post covers December 3rd to December 9th, 2018. New twelve story office building with ground level retail and below grade parking. 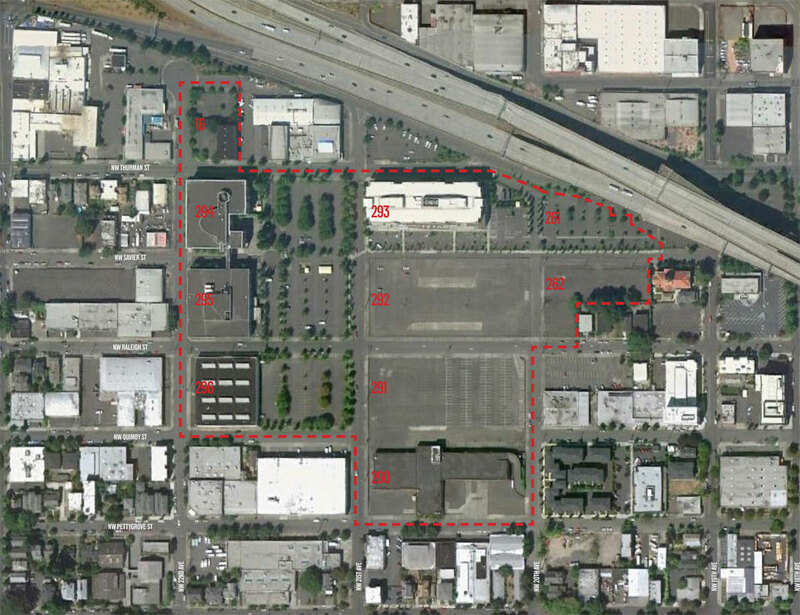 Site is contributing in East Portland-Grand Avenue Historic District. 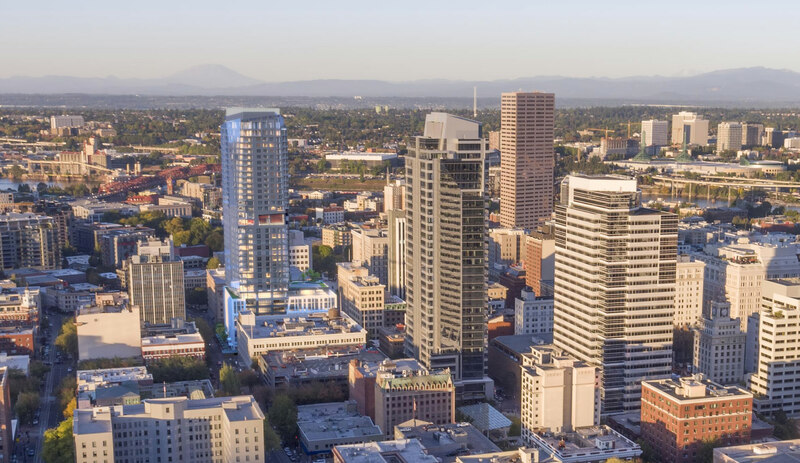 Applicant is proposing a thirteen-story, 104,077 GSF, 264-key hotel with 4,420 SF of ground floor retail. 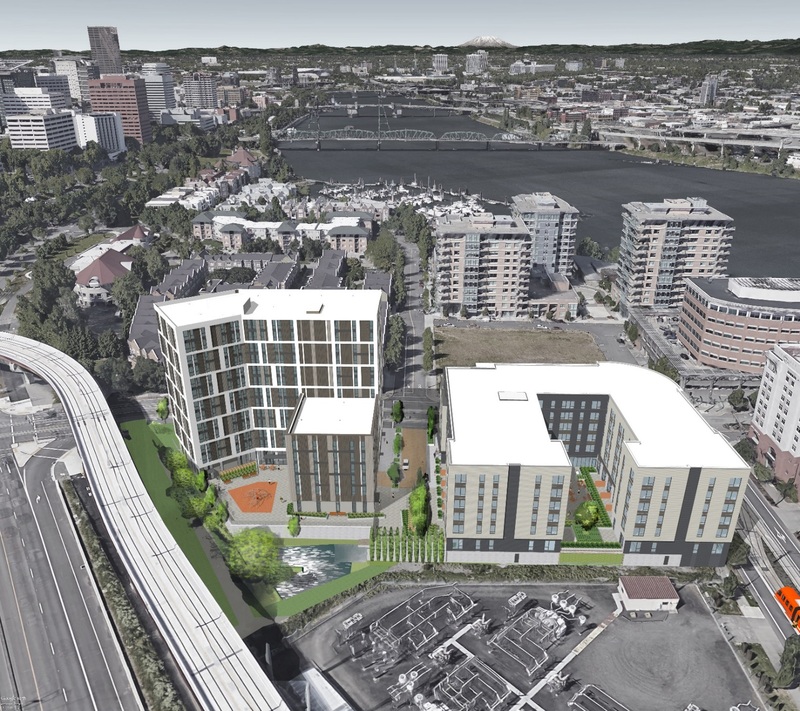 Hotel drop-off/valet zone proposed on SW 10th Ave. Loading dock is proposed on SW 10th Ave.
Proposal is for a 7 story market rate apartment project with approximately 218 units in the Goose Hollow subdistrict of the CC Plan District. 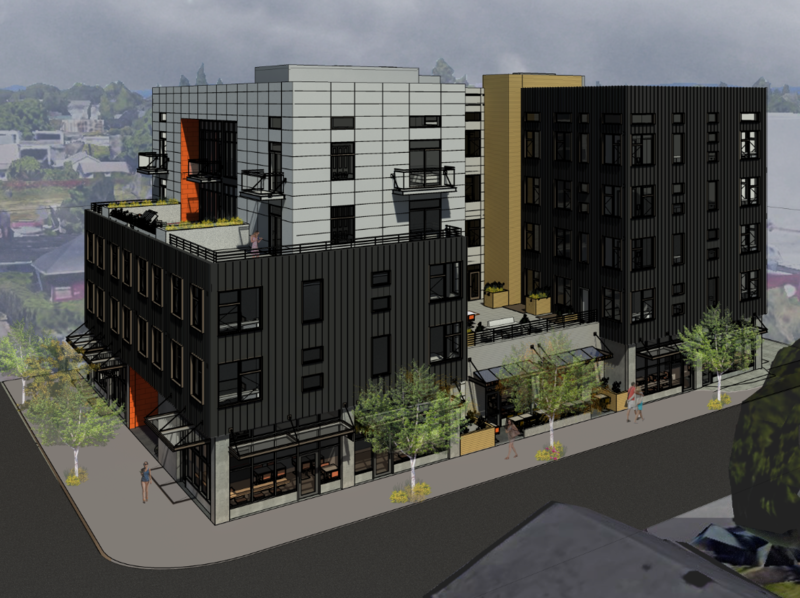 New 4 story affordable housing project building which includes 50 new living units and 9 new surface parking stalls at ground floor with common, outdoor play and pation areas totaling 44,584 sq.ft., Connecting to Phase I building, tree removal. 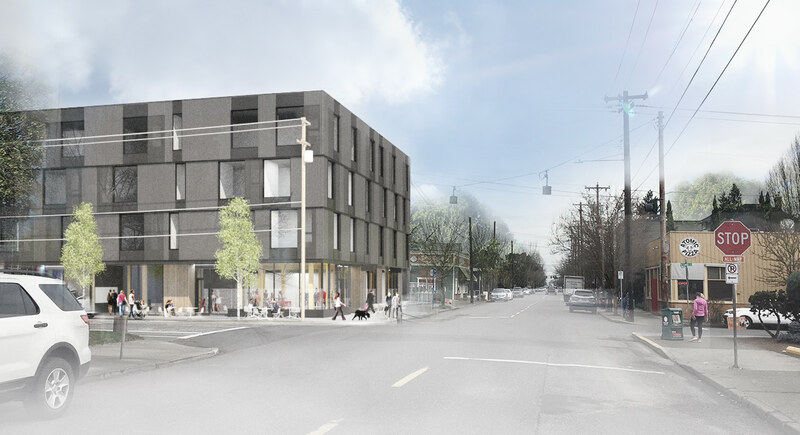 A staff level approval of a new mixed use building has been upheld by the Design Commission, following an appeal by the Overlook Neighborhood Association. The four story building, designed by Works Progress Architecture, will include 36 residential units over ground floor retail. The building will be subject to the city’s inclusionary housing rules, which require the provision of affordable housing. 42 long-term bicycle parking spaces, mostly in a secured ground floor bike room. No vehicular parking is proposed.